Guts Casino – Xmas Mission Six! Complete mission six for up to 60 Super Spins on Santa! 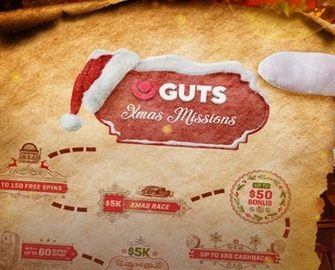 Ready for your next Christmas mission at Guts Casino? 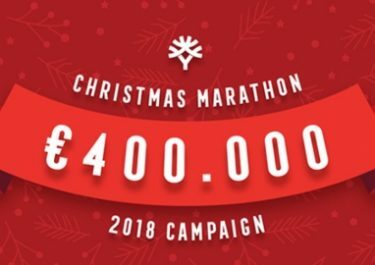 Then play on a selection of festive themed slots to earn yourself an awesome reward. Up to 60 Super Spins on Santa, worth €0.40 each, are up for grabs when you make it to the highest level on your mission assignment. Get spinning and then return on Friday when we reveal the next mission details. Ready for the festive season and frenzy of Christmas campaign? Guts just launched their contribution to this year’s special promotions and no, there will be no candles or donuts collecting happening. Instead they went with missions that will reward all players completing them within the set time frame. Free spins, bonuses, cash chips and more are up for grabs all the way to Christmas Eve. Both, general and bonus terms and conditions apply. 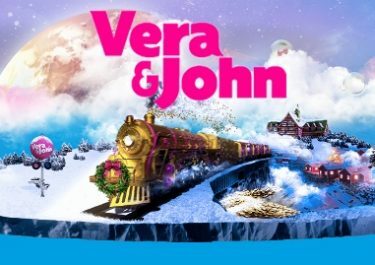 Make a minimum deposit and wager on Gold Rush, Book of Dead, Nutcracker, Jingle Bells, Ivan The Immortal King and Merry Xmas to receive up to 75 Free Spins or up 60 Super Spins on Santa from Pragmatic Play, split over three days. Only one of the four options can be claimed per player. OPT-IN on the promotion page and wager a total of €50+ | €150+ to receive 10 | 15 Free Spins at €0.20, three days in a row for a total of 30 | 45 Free Spins. 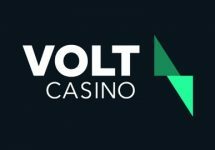 Or wager a total of €250+ | €500 to receive 10 | 20 Super Spins at €0.40 each, three days in a row for a total of 30 | 60 Super Spins. The free spins or Super Spins will be released in batches of 10, 15 or 20, depending on the offer you claim, by 11:00 CET on 21st December 2018 as well as 00:01 CET on 22nd and 23rd December 2018. Winnings are as usual cash, no wagering requirements. Check back on Friday when we reveal the next Christmas Mission at Guts Casino. Launched in 2013 the casino is operated by MT SecureTrade Ltd. under MGA Malta and UKGC licenses. A superb choice of games are on offer for desktop, mobile and tablet from providers such as Netent, 2BY2 Gaming, Ainsworth, Aristocrat, Bally, Barcrest, Betsoft, Big Time Gaming, Blueprint Gaming, Elk Studios, Fantasma Games, Genesis, Genii, GIG Games, IGT, JustForTheWin, Leander Games, Lightning Box, Merkur, Microgaming, NoLimit City, NextGen Gaming, Novomatic, NYX Interactive, OMI, Play’n GO, Pragmatic Play, Push Gaming, QuickSpin, Red Tiger Gaming, Scientific Games, Spigo, Thunderkick, WMS and Yggdrasil. The LIVE Casino tables are powered by Evolution Gaming and Netent Live.